Eggs and egg whites are a staple in our house. We eat them a ton of different ways, although it’s fair to say scrambles and omelettes are the easiest and most often form they’re consumed in. I’m pretty sure not many would think of that, but I did. A few years ago, I shared a recipe for egg stuffed tomatoes – something I still make, but not as often. While that recipe is easy and a favorite of mine, it leaves you with soft almost fully cooked yolks. It also involved a bit more time and an oven. 1. 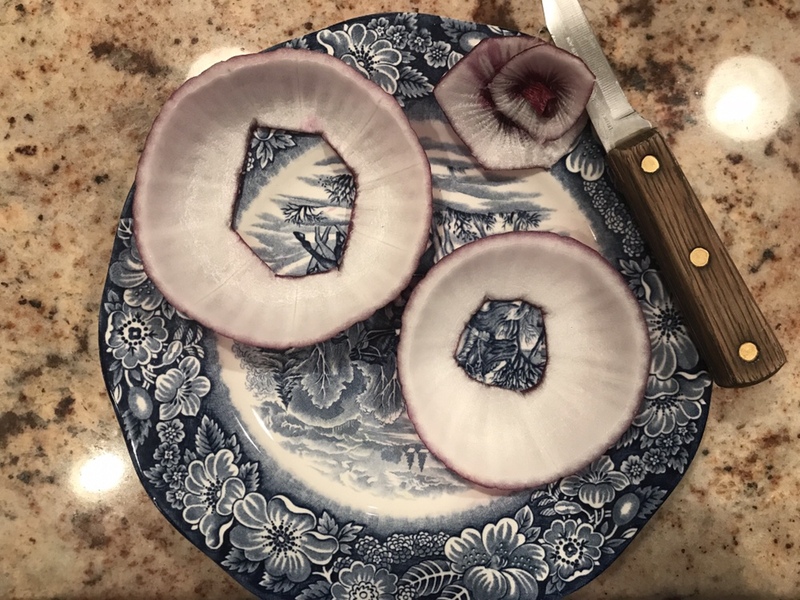 If you have a whole onion, cut thick slices about half an inch to an inch thick. Separate the rings and utilize the largest rings. 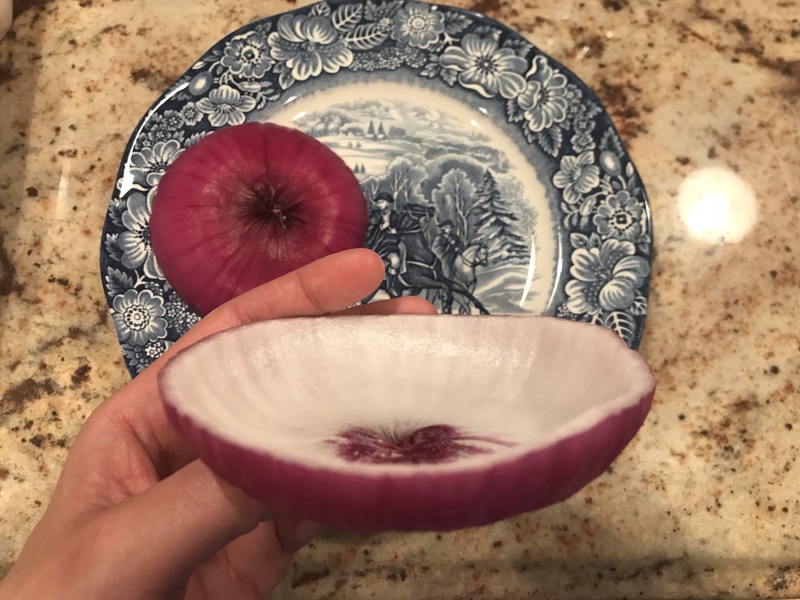 If you have an end piece of an onion like I did, cut the bottom of the onion out like pictured below. 2. 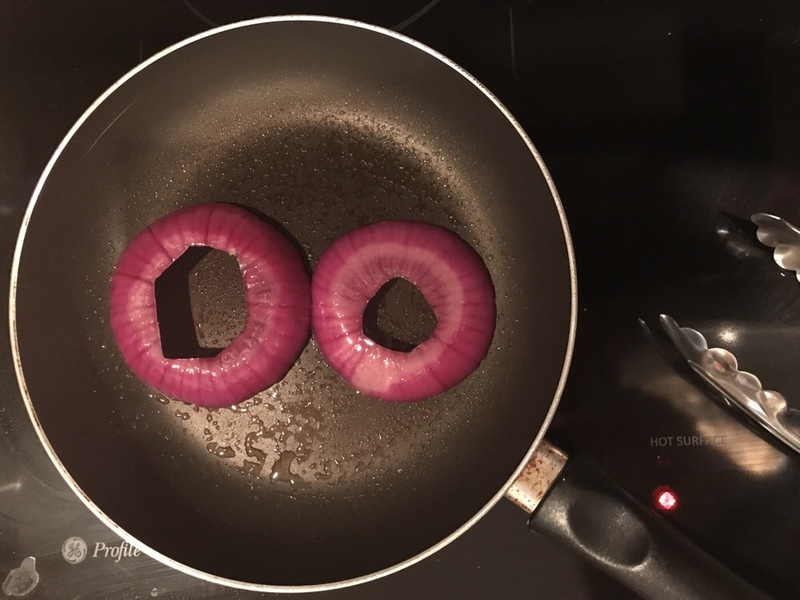 Using cooking spray, lightly coat a skillet and place onion rings or bowls in the pan. Cover with a lid for a minute or two so that steam can help soften the onions. Flip onions and recover for another minute. 3. 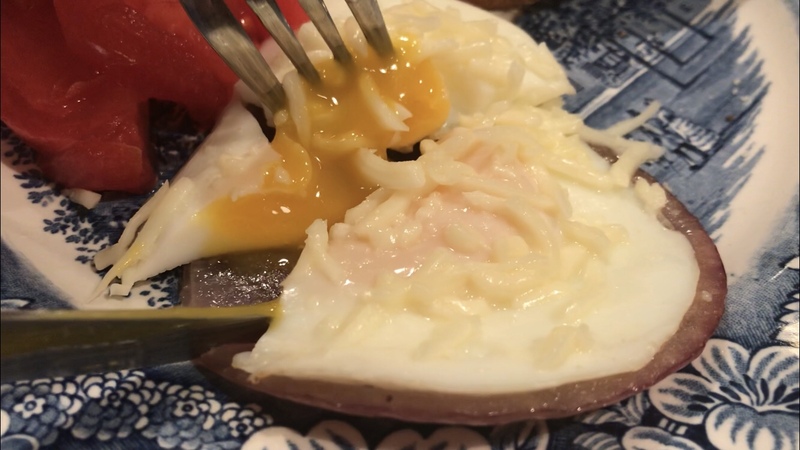 Crack a whole egg in the middle of the onion bowl or ring. 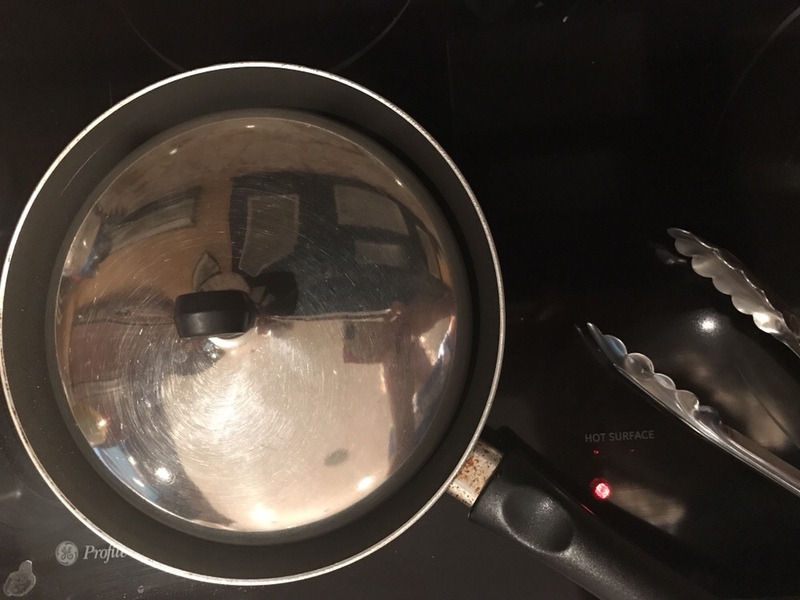 Allow for the bottom to cook before recovering pan with lid. 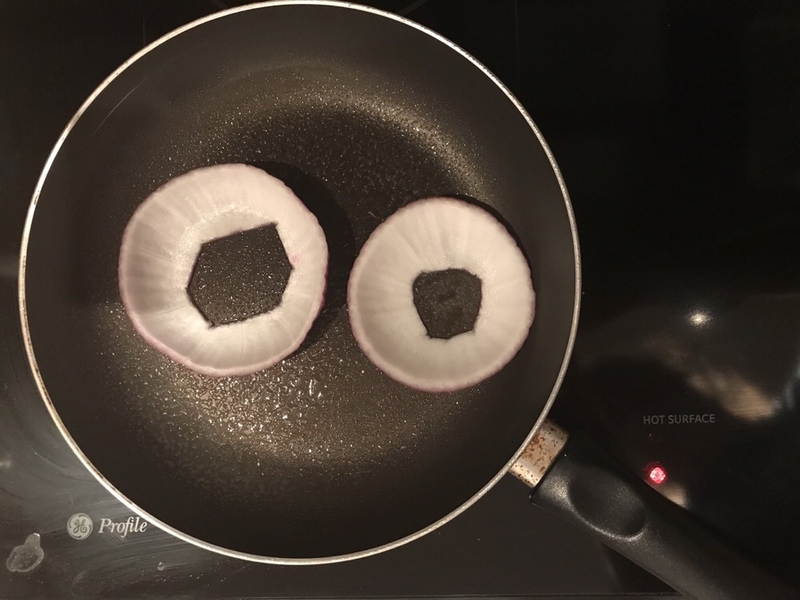 You shouldn’t need any more cooking spray than the initial amount used in the beginning when the onion was added to the pan. 4. Uncover the pan after a minute to determine doneness. If you like your yolks runny, cooking may only take a minute or two. 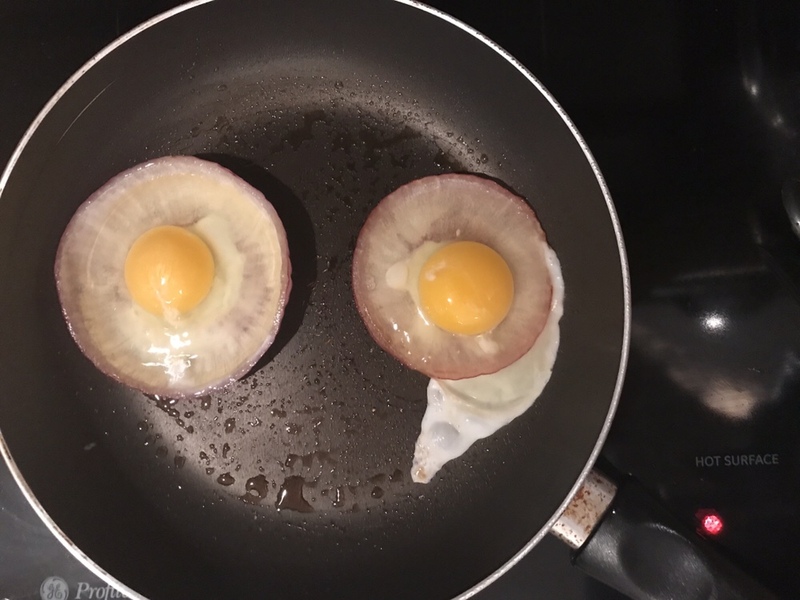 If you prefer a more cooked or soft yolk, allow egg to cook covered for about 3 or 4 minutes. 5. Garnish with shredded cheese. 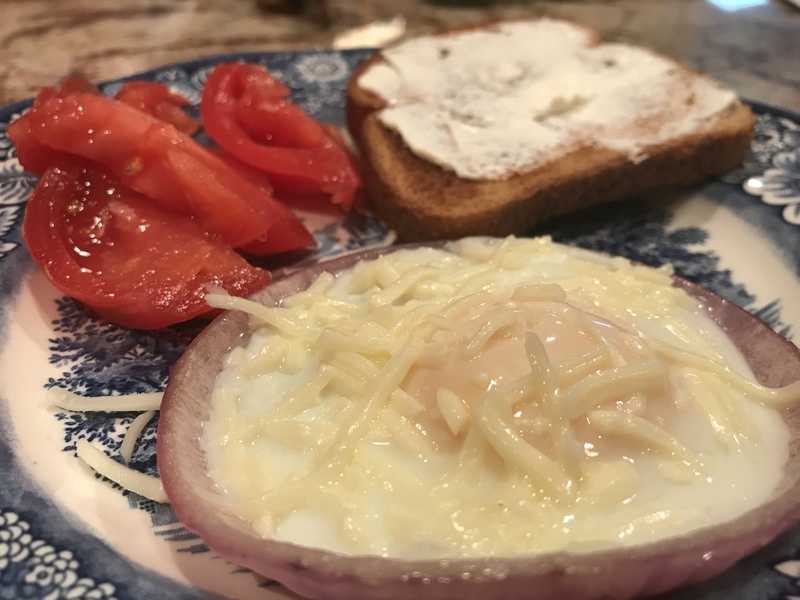 I choose mozzarella and used about half a serving per egg. This step is optional and so is the amount. If you like cheese or have more room for higher fat in your diet then go to town! 6. Plate a serve. We had our with fresh heirloom tomatoes and toast. Notes: I wish I had Everything but the Bagel seasoning with me because I think those flavors would’ve been great with onion and the yolk. I choose red onions because I prefer the spicy flavor they have after cooking, but you could use any onion type. Just be mindful of cooking. I find that yellow onion cook down faster.